Beginning Monday, February 18th, road construction will begin in the area of the Hwy 54 and Western intersection. This affects the area approximately 100 ft south of the intersection, through the curve which turns into Pine St through S Cain Ave. 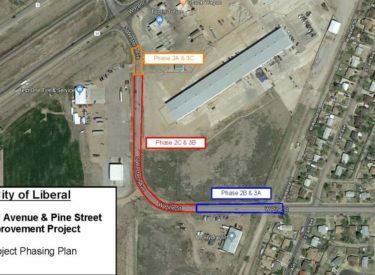 There will be three phases in the project, but local businesses will have at least one open entrance at any given time. Please direct any questions to Gary Geist at 620-629-6041.